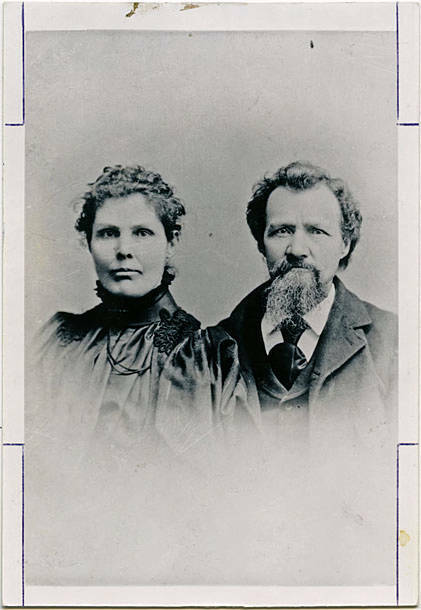 Black and white image of George and Mary Hall Reeves, from the shoulders up. The photo is their wedding portrait according to museum records. While the bride wearing white for a wedding was becoming standard during this time, not every bride followed the tradition. 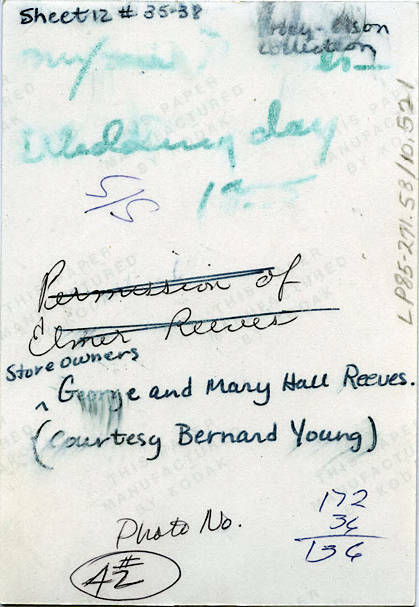 Store owners George and Mary Hall Reeves. (Courtesy Bernard Young.) [lined out] Permission of Elmer Reeves.